It’s time for another episode of our podcast! 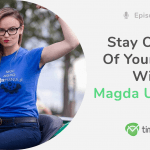 Are you ready for another dose of great tips? 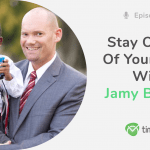 LISTEN TO NEEN JAMES IN #32 EPISODE TALKING ABOUT HOW TO BE PROFITABLE, PRODUCTIVE, AND ACCOUNTABLE! Neen James is a leadership expert focused in the areas of performance and productivity. A little Aussie with a lot of sass, Neen is obsessed with helping people get more done so they can create more significant moments in life that matter! Neen’s fun, unique Aussie-ness makes her a sought after keynote speaker that meeting planners adore. 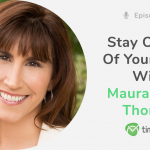 Audiences love her practical strategies they can apply at work and home. Neen is a Certified Speaking professional—a valuable accreditation earned by less than 10% of speakers worldwide. With a strong corporate background in development and managing large teams throughout several industries, Neen is the perfect fit for organizations who want implementable strategies to save time, increase focus, and help their people get more done. 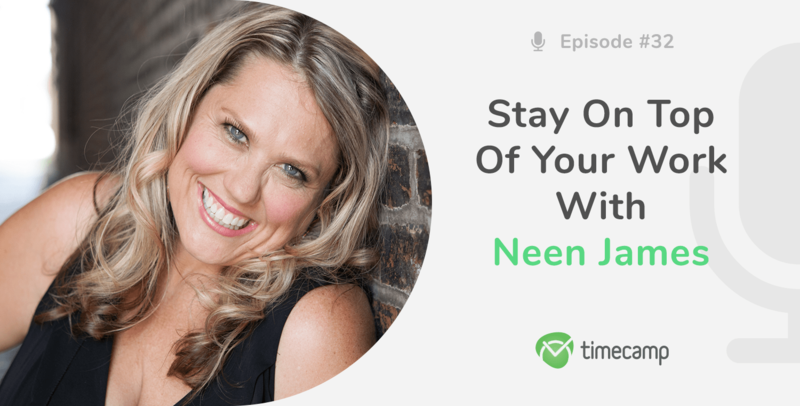 Neen often appears in the media sharing her expertise and is a published author of eight books, including Ah-Maze: Creating Moments That Matter, Folding TimeTM and Secrets of SuperProductivity. Time’s important – you can never get it back. 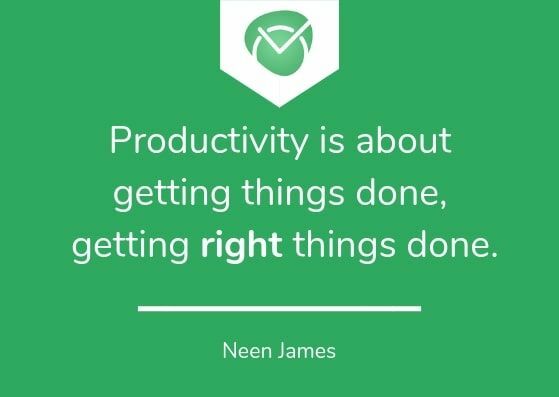 Productivity is about getting right things done. The modern leader has to be able to manage in a matrix organization. To manage a team’s time and team’s attention, as a leader you have to be the role model. Be accountable for as leaders is how we role model time, how we role model attention and then how we keep our team accountable. You can also find us on iTunes! Welcome to Stay on Top of Your Work podcast I’m Kate, your host and we’re back with new episodes after a short summer break. Did you go on vacation? If yes, I hope you enjoyed your time off, and if you had to work, I hope you were super productive. And in today’s episode, I’m talking with Neen James. Neen is the author of Folding Time™ and Attention Pays™. In 2017, she was named one of the top 30 Leadership Speakers by Global Guru. Neen is a leadership expert who delivers high-energy keynotes presentations that challenge audiences to leverage their focus and pay attention to what matters most at work and in life. We’ll talk a little about profitability, productivity, and accountability. Stay tuned! K ate: Thank you Neen for joining me here. I’m so happy to have you here. Neen: Good day, Kate. What a great opportunity and your listeners are in for a treat with your accent and my accent, that will definitely get more done today. Kate: Yes! And it’s going to be fun. So for the beginning, I’d like to ask you if you could say a few words about yourself and what is your dream goal when it comes to work? Neen: Okay, let’s start with the dream goal in life the one when it comes to work. I really feel like, Kate, I’m doing what I have always dreamt of doing. My privilege is to stand on stages around the globe serving audiences and sharing how they can get more done and pay attention to what matters. I mean, I literally get paid to talk. It doesn’t get any better than that. I mean, Kate, I was the kid who was kicked out of class in school constantly for talking to much. Everyone would say “Neen is a good student but she talks too much.” And then go figure, I made a career out of it. So my role as a keynote speaker, I speak around the globe, on the area of attention and productivity. I grew up in corporate business, Kate, so I’ve worked in retail, banking, telecommunications, and the oil industry. And you gotta imagine there’s not a lot of chicks in oil in Australia. But I had a blast. Then I set up my own company so I have the opportunity to be both understanding the corporate mindset, because they grew up in corporate business but also the entrepreneurial mindset. And for people who use your fabulous software, knowing they can really track their time using your software, especially the entrepreneurs listening to this. Those who are being measured in like billable hours, even some of the professional services that use your software, they know the importance of time. So my story when it comes to productivity, it has always been a passion of mine, I didn’t know you can actually get paid to tell people how to make themselves more productive, and that’s definitely what I love. So I’m definitely living my dream goal. Kate: That’s amazing and really inspiring. I’d like to talk about your book a little bit later but for now, I’d like to ask you what is profitability, productivity, and accountability according to you? And could you specify a little bit more about those things and what are they exactly and why are they important? Neen: I think they’re all linked, Kate. And if you think about this you know, as you mentioned, in Attention Pays, we drill into this enormous amount of detail. I’ve always been obsessed with productivity because what I saw in my corporate career was that people who got promoted knew how to get things done. They developed reputations of someone who would be the go-to-person where they could get things done. So very quickly in my career I realized if I wanted to get ahead, I needed to get productive. And I’m fairly organized anyway so that was pretty helpful. What I realized was that people that were the biggest assets to the organization were people who could drive profitability. So to me productivity is about getting things done, but getting right things done. Profitability is about what are you contributing to the bottom line. I realized the high performers were the sales leaders who could convert prospects to leads, to them and eventual sale. I realized that the leaders whose teams were very productive, and profitable, would get the attention of upper management. And so what I realized very quickly is, the other thing that was a key ingredient in people that got promoted, Kate, was the people who would do what they say they would do. And that to me is accountability. 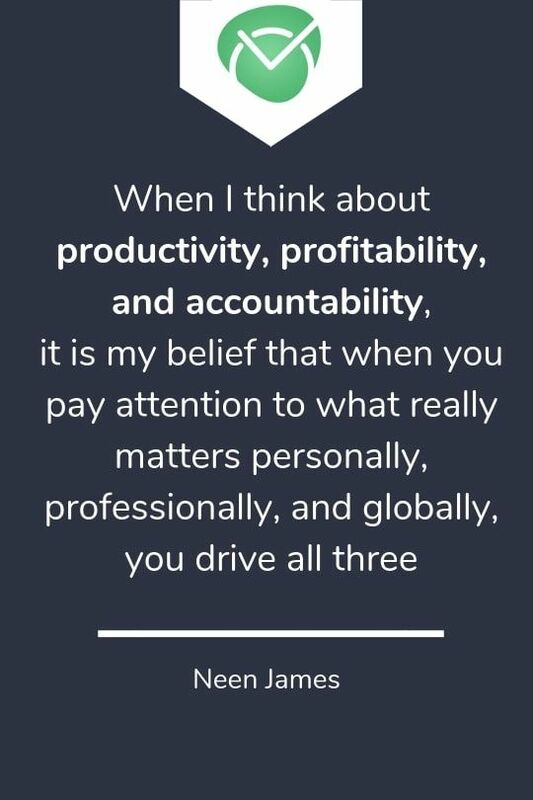 And so I learned very early in my career, and I know I sound like I’m five but I’m significantly older than that, which Kate can attest you on this video, but when I think about productivity, profitability, and accountability, it is my belief that when you pay attention to what really matters personally, professionally, and globally, you drive all three. You become more productive by doing the right things and making sure you’re working on the things that are going to drive the business, whether you are an entrepreneur or a corporate employee or maybe you have aspirations, maybe you’re even in a non-profit, who knows how you’re using the time software. But it also means, from a profitability point of view, profitability is often measured in dollars – revenue. But I also think people that… they look at profitability differently, for example, my team tracks how many days off I have a year as well. Because to me it’s also vital that for me to be my best myself on stage, when I’m serving these clients around the globe, is I need to be the most high energy version of myself. And so we look at driving profit and so I need recovery days as well. And then accountability, as you know, is really doing what you say you’re gonna do. Being a person of integrity. And the way that we drive this in my own life is I have an accountability partner. Every Monday I send them my goals for the week and every Friday I report back. I have been doing this for years, and years, and years. And so when I do my keynotes I always encourage my audience to find their accountability partner and tell them what they’re going to do. This is all driving productivity. Kate: This is a good idea, actually, I should implement it in my life. So when we’re talking about team and leading, I’d like to ask you a question which I think is quite controversial sometimes. What would you say is the difference between a leader and a project manager. How can a person who leads a company, a business can bring a change to the world? Neen: Okay, so these are really some cool things that you’re questioning and I wanna break it down a little bit. Having been both a project manager and a leader and having the ability in my job to feel like I’m helping change the way people see the world when it comes to attention, I wanna speak from all three different ways. Many project leaders are technically brilliant. They know how to deliver a project on time, on the budget, and make sure that they communicate the milestones. But for many project managers, they maybe don’t enjoy leading teams of people so they could be technically brilliant but there’s other project managers who shine and they have the ability, regardless of their title to have virtual leadership. Meaning, their project has all these people dependent on them to get things done so they have to be a leader. Now, they might not have the title of the leader but it is my belief when I’ve met so many project managers and I had the privilege of speaking at the Project Management Institute. So you know, PMI, they are very, very focused on making sure that people are achieving the goals they set for the project. That requires leadership skills. I think those two things are very interchanged. I do believe, though, not every project manager wants to lead large groups of people. It’s kind of by default that many of them end up having to have virtual relationships. I also believe now, especially with some of my corporate clients, Kate that many people are asked to lead without the title in a matrix organization. And I’m sure many of your listeners know that role where they may have multiple reporting lines and while they may not report directly to a person, the deliverables are impacted by other people. So, therefore, I think nowadays the modern leader has to be able to manage in a matrix organization that takes a completely different set of skills and that definitely requires productivity in making the most of every minute. Now in my work, my little world means, I just want the world to pay attention, Kate. I want people to pay attention to each other, I want them to pay attention to results. And it could be as simple as using someone’s name when I meet them. Or smiling at my barrister when they give me my coffee and use their name. Or maybe it means, I’m paying for the person behind me in the cut just surprising them. I love the opportunity to delight a stranger. It also means every day, Kate, I’m diligent about writing a thanking note to someone. An actual old-fashioned hand written one. I wanna make sure I’m giving away a referral every day to someone because it is so much work that is out there, I certainly can’t do it all. And my clients will benefit from knowing some of the great people that I know. So writing an endorsement. Maybe writing an endorsement on LinkedIn for someone who’s done something great for you. There are so many ways that we can change the world, our little, tiny world of the people that we impact. And so I think we start there. Because sometimes the idea of changing the whole world can be so overwhelming we don’t even know where to start. And think about the brilliance of your software. You’re getting people to monitor minutes. And in my work, I’m getting people to monitor moments. And so when you think about the beautiful importance of tracking time, because you know, you and I, we only get 1440 minutes in a day. It doesn’t matter how old you are, what accent you have, how long you have been with the company, nobody cares about that. You and I have the same amount of time, right? And so what I realized is you can’t manage time but you can manage your attention. And I think that’s how you change the world. Kate: Okay, so we have to talk about your book Attention Pays. I think it’s a concept in itself. How would you define it, you know, tell us something about it because it’s so exciting! Neen: Oh I’m so glad that you love it. What I realized is I have always spoken on productivity. I grew up in corporate business. I was always speaking at conferences, I managed, you know, multi million project. So I always knew how to get things done. And so my other book for reference, Folding Time, it made sense to me how to get more done, right? In half the time that was the promise of Folding Time. And then I realized, “ha, we can’t really mage time, that’s a crazy thought, however, now we could manage our attention.” Listening to the feedback from my clients, I went into an extensive amount of research where I realized that the attention is the thing we can control. But, we’re living in this time, Kate, where we’re constantly overwhelmed, we’re overstressed and we’re overtired. Everyone’s distracted and they’re kind of proud of the fact that they’re distracted. We are multitasking like a badge of honor, which is insanity. And then I realized my clients were struggling with this whole idea of how do they pay attention? How do they get their teams attention? How do they get client’s attention, how do they increase the market share and improve the sales? How do they attract and retain top talent? The book fixes that. So the book is really gid around the idea that we pay attention in three ways. We pay attention personally which is about who deserves your attention and that’s about being thoughtful on a daily basis. It’s professionally about how to be productive. This is about making sure you’re focusing on what deserves your attention. And the third way we pay attention is globally. Which is really about how you’re paying attention in the world and how can you be a bigger contributor? How can you be more responsible for the resources? Kate: Right, so everyone should read that book. Neen: Yes, they should, of course! Kate: Definitely! So I’d like to ask you, in relation to this concept if attention, how to manage team’s time, well, maybe not time but attention in a team, you know, as a leader, whatever you are in a team? How to do that to achieve success? Neen: I think that time and attention are really linked so when you think about it as a leader’s point of view, there’s two kinds of leader in every team. There is the person who is appointed as the leader, they have the title of the manager, supervisor, director. But there’s also the informal leader and every team has one. You know the informal leader, Kate, they’re the person everyone goes to, right? And so when you think about that role, it doesn’t matter what your business car is. I don’t have business car these days. But what it is I think to manage a team’s time and team’s attention, as a leader you have to be the role model. If you want your team to be productive, you need to be productive yourself. If you want your team to take rest and recovery breaks, then stop eating your lunch at your desk because you’re sending a settle signal to the team that you are out of control, that you don’t have time to eat so you’re then telling your team, unconsciously “I don’t have time to eat so you guys have to eat at your desk too.” Nobody wants that, it’s unhygienic, it’s a stupid thing to do and yet everyone does it. As a leader, if you wanna manage your time and attention of your team, stop having those stupid long meetings that you have. Nobody’s paying attention when you have crazy long meetings. And if you’re having a meeting for the sake of having a meeting because you’ve always had at 8.30 Monday meetings, stop it, like just stop it and see what happens. 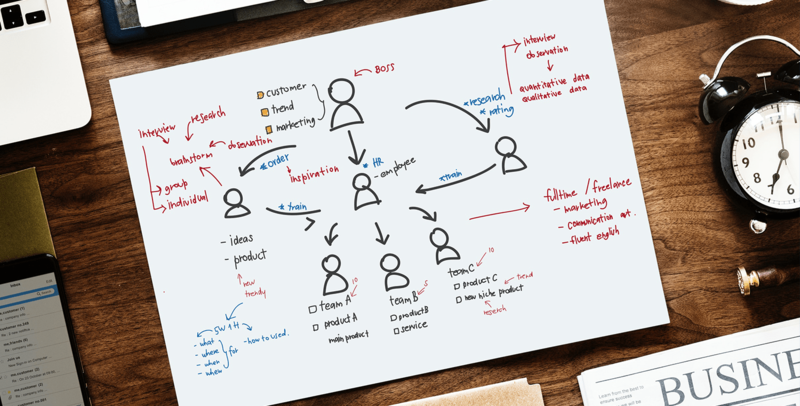 And so get the team to help you with the meeting, get the team to rotate the chair of the meeting, allocate roles in the meeting, have people take minutes, have people lead brainstorming session, and let people do ideation session. 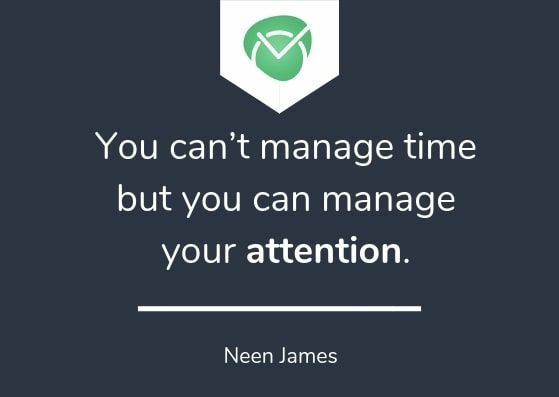 There’s so many ways leaders can manage the attention of our team and their time. Implementing software systems like yours is a brilliant way for people to be accountable for the things they’re doing. And when people start tracking, they are horrified at where they actually waste time. So as a leader you wanna look to see how you can help them eliminate those distractions, eliminate those time wasters. The beautiful thing about your software is that it brings accountability to every business. So when users are aware of what the billabes are and how they’re spending their minutes, it then makes them realize, “hey this is not a profitable way for me to spend my time.” And believe me, Kate, I’ve been much rather be on Facebook than writing client’s proposal. Let’s be really clear about that, it is far more enjoyable for me to have a look at other people’s lives. But, not gonna grow my business. And so what we have to be accountable for as leaders is how we role model time, how we role model attention and then how we keep our team accountable. As leaders, we need to have regular one on ones with our team. We need to have time to look them in the eye, to video with them, to text them. To help them understand what’s a real priority. Because every week this changes and some businesses that have your software, Kate, sometimes it’s daily their priorities changes right? Depending on the business you’re in. And as leaders we have to be able to get rid of things that are getting in the way of team achieving their results, which means we have to be hyper productive, we have to be driving profitability and we, as leaders have to be accountable for our own time and what we ask of others. Kate: Isn’t it actually a little bit about people also? To be for other people as a leader as a team member? You know, to cooperate? Neen: It is and I always believe… I believe in servant leadership. And to me, my definition of that is my job is to serve my clients. My job is to serve my team. When I’m a keynote speaker on a conference, my only job is to serve the audience. Whoever is in the room is meant to be in the room. And my job in leading that particular presentation is simply to have a conversation with them. This going to allow them to get better what they do. When I wrote my book, my job is to serve the reader who is willing to invest their time and money in reading the book. I need to serve them with as many strategies as I can and so to your point about people, without the people in our business, doesn’t matter what software we have, doesn’t matter what we track, if we do not have people who are willing to do the work and as a leader you are willing to invest in help them do the work, then we have no business. No matter what happens with our artificial intelligence, no matter what happens with automation, no matter what happens with systems, we still need people to people contact. We still need to be able to look people in the eye. We still need customers who rely on us, who can know that there is a human being that is going to help them achieve things. I’m all for automation, I’m all for systemization, I’m all for… I love workflow, I love things that are so much more efficient. But at the end of the day, Kate, it’s people doing business with people. Kate: Right. Exactly! So I’d like to ask you how to skyrocket organization’s productivity and profitability, based on your concept of attention management? Neen: Of course I’m gonna be biased, okay? And so my bias is gonna come from the fact that I believe that when leaders pay attention to what matters most, now, what that means is, as leaders, the leadership team has to have very clear direction with the vision and goals that everyone is aware of. They need to have the ability to communicate that vision to the team to help them execute on that and then they need to pay attention to what tools, training, resources do they need to help them get their job done. So it is my belief that when we pay attention to personal relationships, the individuals who work for us, we then start to pay attention professionally because we realize what’s most important, what’s the best use of our time and attention. And that’s how we have bigger impact. Not just at work but on our communities, our homes, in our church, our temple, and then, ultimately, on the planet. And so it is my belief always that if people want to really skyrocket their personal results, and skyrocket the organization’s results, it all begins with where they pay attention. Kate: Okay. It sounds like a good strategy. And, I’d like to ask you… it will be very generic question but maybe you have one or two or anything, a strategy, a plan that you use in your work which helps you? Neen: You bet! My secret strategy is I look at the world in the 15 minute increments. I always have. Because no one has an hour, Kate, you know that with the work you do and I’m sure your listeners realize. When someone asks you to an hour meeting you actually do an eye roll like “uh, who has an hour anymore.” And what I’ve been able to do anymore my world in 15 minute increments. And so by that I mean, every single day I set up a 15 minute appointment with myself and in that15 minutes I identify my top 3 non negotiable activities for today. Meaning, before my head hits the pillow tonight, what are the three things that absolutely must get done? Now I have a pretty fancy way of recording tem, I write them on a post-it note. I know, it’s crazy but I write them on a post-it note because I can carry that silly little post-it note with me everywhere I go so I think I probably, I just threw out yesterday’s post-it note and, um… yep, there it is. It’s just evidence for people who are listening; I’m showing Kate my post-it note. I literally write, it says on the top today “I will” and then write down my 3 things. Now, I got the greatest satisfaction, Kate of crossing those silly things off the list but I’ve identified very early in my career that if I could identify the 3 non negotiable activities that would move my business forward, that silly little post-it note becomes my decision filtering system, meaning, every day I wanna get distracted, every time I wana go do something that’s not gonna get me closer to the goals, it reminds me that that’s important. The reason I write it on a post-it note is that I can literally carry it with me everywhere. And so I usually… I will have it on my desk so that it has to get done. If I leave my desk I put it on my bag. It’s crazy I know but what it has helped me be more accountable. Because I think what happens is people don’t realize that once they spend their time, they’ll never gonna get it back. And you can look at the world in 15-minute increments. You can make a healthy meal in 15 minutes, you can work out for 15 minutes, you can meditate for 15 minutes, you can call a client for 15 minutes, you can update your customer relationships software in 15 minutes. I think it’s the key to everything. The other thing I also love about 15 minutes, Kate, is you can create 15 minutes, for example, you can get up earlier, 15 minutes earlier or you can go to bed 15 minutes later and voila! you have extra 15 minutes. If I tell your listeners they need to get up up an hour earlier or go to bed an hour later, they would also do an eye roll. Because it’s just not always available for people. And I’d rather for people to do 15 minutes exercise than no minutes exercise. I’d rather they spend 15 minutes with a team member to help them grow their skills and develop them than no minutes with one of their team members. Every leader I’ve ever worked with have challenged them to do the same thing and some of my major corporations like Fortune 100 companies implemented this strategy of 15 minutes. It totally changes their business. Kate: It sounds really great. I didn’t even realize that if you at yor life in 15 minutes increments, you can actually see so many things, that’s amazing! Neen: Yes! It’s so true! And like I will call my mom and it’ll be just like “mom I’ve got 15 minutes.” Now, some people listening to this, Kate, will go “ohh, you don’t know my mom, I could never get off the phone in 15 minutes.” You can if you’re clever. And if you are fortunate to have your mom or your dad still in the planet, then call your mom, invest 15 minutes and if you don’t have them on the planet, call someone you care about and remind them, because you know what, time is going to happen, whether you or I like it or not it’s gonna happen. How we choose to invest our time and attention, that’s up to us. Kate: That’s true. So when we talk about such inspiring things, what inspires you in your work? Neen: I think the things that inspires me the most is when I’m standing in front of the audience and I see them get it. Like I just see them get it. And they’re look, “ohhh, yeah. “ And then they come up to me afterwards or on social media or on e-mail and they say, “Because of what you said I did this. Because of your article I’ve done this. Because I watched your video, I’ve done this.” That to me is incredible. I mean what a privilege that I get to stand and service to them. So my inspiration is often the clients that I serve and the audiences that I stand in front of. And I think what’s interesting is, sometimes inspiration can come from the strangest source, right? Yesterday I was watching one of Ellen’s videos. You know Ellen who as the talk show? Oh my god, I love that woman, she’s like crazy and she has that video compilation of all the great things that people are doing in the world and how these normal individuals are just doing just little things that impact the community. People that are standing up for others. People who are helping kids at school. Now, she’s very generous and has the means to be able to give them financial assistance and platforms as well but it maybe really remember that was a great reminder that everyday there is someone around us that is paying attention to a moment. We have that responsibility. So I’m always looking at those type of things to inspire me as well. Kate: That’s nice. So I’d like to go back a little bit and ask you about, from your experience of working with people, what are the most common mistakes people do when it comes to paying attention? And I’ve noticed when, um… you know, my neighborhood I watch this gorgeous family situation in, there was this little kid and the dad was like pushing him on a swing and his little child was so excited, Kate, you could hear him screaming, he was loving it. And as I got closer to this amazing scene, the dad was on his cell phone, like, he was like pushing one hand, checking e-mail… That’s crazy, I mean, I don’t know if you know this but 9 people die every day because of distracted driving. I mean, when did it become more important to update our Facebook status than to actually pay attention to the road? So for me, I think, the biggest mistake people make is that they spend too much time on their device. Now don’t get me wrong. I’m not anti technology. Technology is not the enemy of our attention, we are. And so I think what I’d love people to consider is could they put the cell phones down in a meeting and actually pay attention to the people that are in front of them? When they’re in the store, can they give the server their full attention instead of being on their phone? When you hand your boarding pass, scan your phone to the airline crew, can you just look up and smile at the person instead of being on your phone? I think there’s lots of ways that we as leaders can role model attention by making sure we manage our devices. Leave it in your bag, put it in your desk, and look to have more real conversations where you look people in the eye. Kate, I learned this lesson from my 5-year-old friend. He and I was sitting in his kitchen, so he’s my next door neighbor and I was sitting there having just a cup of coffee with his mom. She and I, you know, was just trying to have a normal conversation like people do. And this little 5 year-old, if you know anything about 5-year-olds, he just kept disturbing himself into the conversation and he kept asking me all these questions. And I was answering him that at one point he got so frustrated with me, he didn’t think I was paying attention. So he climbed up to my lap, he grabbed my face in his tiny little hands, he turned it towards him and with words I will never forget for the rest of my life he said this to me, he said, “Neen, listen with your eyes.” He was five. So smart! And it really, really changed the way that I looked not just at my conversations with him but with others and I think because leaders, if we could listen with our eyes, we would show up in the world so differently. Kate: That’s true. I think that sentence has just changed my life too. It’s amazing, wow! So when we’re talking about inspiring things again, you are an author, and you wrote two books. So I’d like to ask you what books do you read? Neen: Gosh, I have so many books that I love and I have. Admittedly I am more the business book person so, you know… do you remember when Harry Potter’s first came out, like if a new Harry Potter book came out, I would literally disappear with it. So there’s an extreme to my book reading. So I love the idea of being able to hide in these amazing ways that J. K. Rowling’s wrote in Harry Potter. This is really aging me, I know. But I love business books as well so there’s a couple of favorite ones, you know, listeners might really enjoy. One book that I’m loving and I sent to so many of my customers is called Never Lose a Customer Again. Joey Coleman is a brilliant author, he might actually be great for your show as well. Joey writes about incredible process about how you can elevate the customer experience. So I love books that give me practical strategies like that. But they also are the kind of book where you’re going to then implement that in your everyday, right? So it helps me elevate the ways I serve my clients as well. There’s a brilliant book written, called Crisis Ready by Melissa Agnes and I never even know about the fact that, so many of us are business owners or in companies is, there are potential crisis kind of everywhere and so she was really hopeful in helping me understand what kind of systems I needed to put in place for that. I also read an enormous amount of books on presentations and communications so one of my favorites is called Steal The Show by Michael Port and it is probably one of the best books I’ve ever read on the art of presenting not just with the keynote speaker as me but maybe a sale speech that you need. So I love that book as well. And then my favorite, favorite, favorite of books when it comes to really looking at how you see the world in your intellectual property is pretty much by anything Matt Church. He wrote a book called Next, which is a brilliant, he wrote Thought Leaders Practice, he wrote… I mean, the guy is just one of the most prolific authors so anything I can ever get my hands on by Matt Church I highly recommend. Kate: So my last question will be related to the name of the podcast, Stay on Top of Your Work, you actually have out your secret about how you kind of do that but how do you stay on top of your work? How do you stay on top of your work? Neen: I have the most incredible team of people around me. I could never do what I do without my Maria who’s the key to my entire universe. She’s been with me for over 13 years and, you know, you’ve interacted with my Mariah, she’s amazing. I could never do what I do without having this virtual team who’s support me to do what I do through helping me with social media with logistics, you know, some of the biuros that I work with help me with my clients. So the way I stay on top of my work is make sure than when I stand in front of a client for a presentation or I write a book that it is my absolute best work. Because I wanna do that to honor the team to get there but I also do it to honor my clients. So for me it’s all about my team. Kate: Okay, that’s nice! Neen, thank you so much for joining me here. It was my pleasure and I really enjoyed the interview. Thank you so much! Neen: Oh, I had so much fun, Kate, and if anyone wants to find out more, they can follow me on social media. The good thing is, there’s only one Neen James so you can find me website or anything on social just by finding me by name. Thanks again for the privilege of serving you. Check Out These Top 6 Free Task Tracking Software!